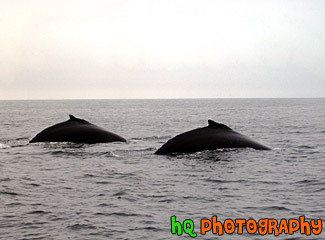 #254 — This photo was taken in the Pacific Ocean off the coast of Monterey Bay, California. In the photo you can see two whales going back under water after taking their breath of air. The whales are in sync with one another.